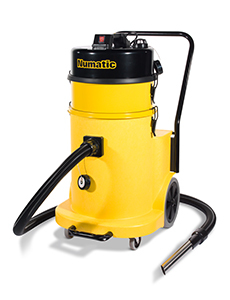 The Numatic range of "H" class, HZ Vacuum Cleaners fitted with HEPA filter units specially for cleaning up Hazardous dusts. The HZ & HZD range consists of the HZ 200-2, HZ 250-2, HZ 370-2, HZ 570-2, HZ 750-2, HZD 750 and HZD 900-2, that have been specifically designed to meet stringent Health & Safety requirements of industries, where it is necessary to vacuum dusts that could constitute a health hazard for example, Asbestos, Finely Divided Silica, Soot, Softwood and Hardwood Dusts, MDF Dusts, other Carcinogens and highly active Pharmaceutical products etc. 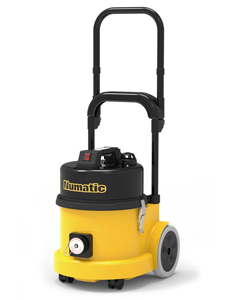 HZ-370 is the HZ-200's big brother with larger capacity, manufactured to the same specification. 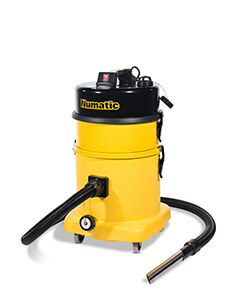 A new compact HZ machine incorporating a H13 filter module and fully meeting the “H” standard. 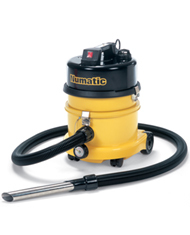 This is the perfect small HZ unit, meeting all the needs and requirements for dealing with hazardous materials. 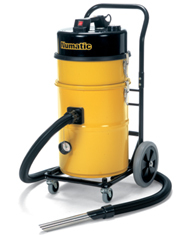 Engineered with a HEPA H13 filter – alongside a TriTex filter and HepaFlo Filter Bags – the HZ390L is H-Class compliant, with an efficiency rating of 99.95%. Products etc. 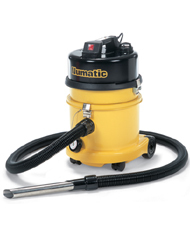 We also stock a wide range of spares for these cleaners, such as hoses, nozzles, disposable bags etc. click here for further details. We can provide credit accounts for Limited Companies on receipt of a credit application form or a company letter heading with registration number. Simply place you order using the Nett 30 Day Account option above and tick box for new account. New accounts can be opened within one working day. Schools, College, Health Authority, Local or Central Government Departments we will automatically open an account on receipt of the first order, simply place you order using the Nett 30 day Account option. Quality and Service with a Smile!!! SHIPPING: We offer a 24/48 hour delivery service (subject to stock availability) on all goods delivered to UK mainland. This is not a guaranteed service, but every order that is received before 3pm on any working day (Monday to Friday) is dispatched by overnight carrier, who will endeavour to deliver the next working day Monday to Friday between 9am and 5 pm. Any delay in shipping your order, we will notify you by email or telephone as soon as possible. © Chemiclean Products including registered names "Chemiclean", "Mr. Chemiclean" and "Chemiclean Europa" All Rights Reserved.